Whether you are seeking relaxing ocean activities or planning a challenging ocean sport adventure we have the best ocean activities for you to do on Maui. By analyzing Hawaiian Island visitor statistics, and researching Maui’s ocean activity companies, we’ve made it easy for you. Plan a laid back or a venturous vacation on the most popular island in Hawaii. When visiting the magical island of Maui, take advantage of all the awe-inspiring offerings this paradise provides. 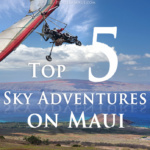 Chill out beachside with a novel, and decompress into breathtaking scenes of the Pacific Ocean with the outer islands of Kaho’olawe, Lana’i, and Moloka’i as your backdrop. Just imagine the comfort of knowing a valuable insider’s perspective; feel at ease realizing that all the hard work in vacation planning is done. All that is left is for you, and your family and friends to experience the best Hawaiian vacation possible. With the spirit of aloha, we welcome you to read a handful of the most inspiring island pastimes. There is absolutely no doubt that the #1 Ocean Activity on Maui is whale watching. If you are visiting Maui during the winter months, give yourself one of the biggest gifts in life, and do not miss out on a chance to see the Humpback Whales during their annual migration to Hawaii. Words cannot even begin to describe how fabulous this activity can be, and Maui is regarded as the best place in the world for whale watching. No matter your age, all participants will be amazed after seeing the firsthand beauty and grace of whales breaching in the glistening Pacific Ocean. Commonly accompanied by playful Spinner Dolphins, smile, and gasp as male Humpback Whales impress the females during breeding rituals. See the baby whales excite all spectators with their childlike skips and leaps across the ocean surface. Marvel in the beauty, innocence, and primal urges of ocean wildlife while experiencing this honored and humbling ocean activity on Maui. This is one of those must-do activities in your life; one that should not be missed, and one that will never be forgotten. Enjoy this glorious ocean activity for the first time, and introduce it to your family and friends. This is will definitely be a Maui memory that is fondly cherished forever in the minds of all who take part. For more information about group and private Whale Watching Tours on Maui, please visit MauiWhaleWatching.com. 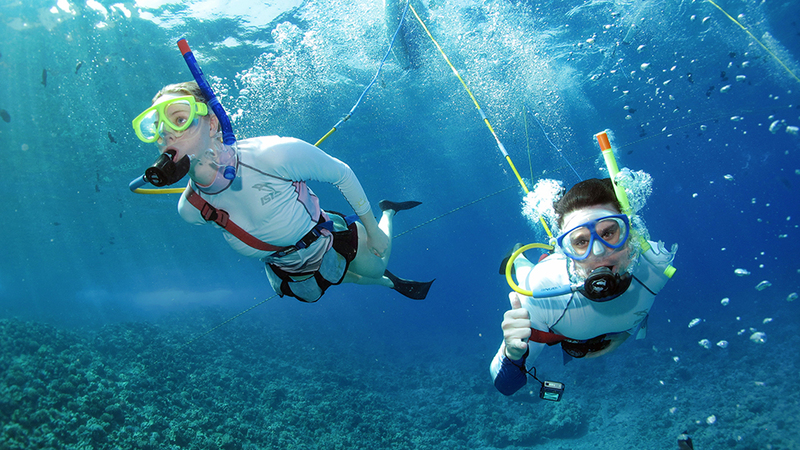 The second best ocean activity on Maui is a fun-filled snorkel tour with Pride of Maui. Explore the underwater world; watch Green Hawaiian Sea Turtles tread water through the luminescent Pacific Ocean, as they frolic around bustling volcanic and coral reef. Full of Hawaiian Oceania, witness vibrant schools of tropical fish, sea anemone, and a variety of unique reef animals endemic to the Hawaiian oceans alone. Whether you are an amateur or a novice, child or adult, all guests are sure to enjoy this fabulous Maui ocean activity. 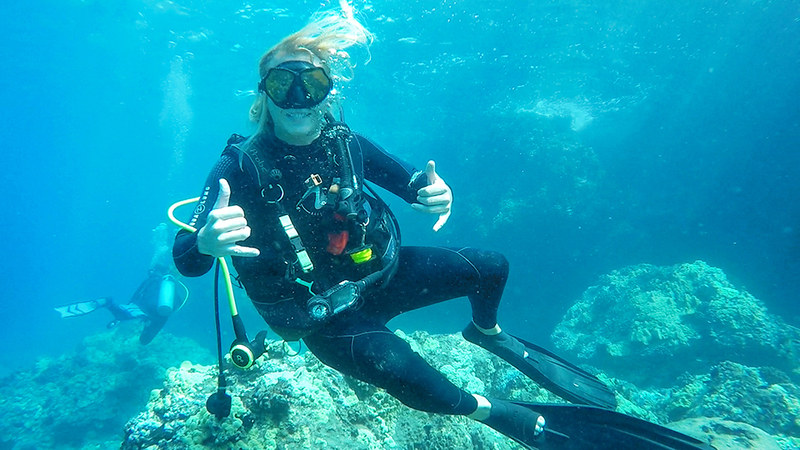 Pride of Maui snorkel tours is outfitted with the best equipment and safety measures. They are well-renowned for exceptional customer service levels, accommodating guests with comfort in mind, and sharing their knowledge of Hawaiian reef life. For over 30 years, Pride of Maui has remained on the forefront of the best ocean activity companies on Maui. The Pride AM Snorkel Tour includes a complimentary breakfast, lunch, and an open bar. The Pride PM Snorkel Tour includes lunch and an open bar. No matter your preference, all guests are sure to be pleased, inspired and most definitely become return visitors. Experience Maui ocean’s as you never imagined possible. Explore Molokini Crater, Turtle Town, Fantasy Reef at Olowalu, and Coral Gardens. 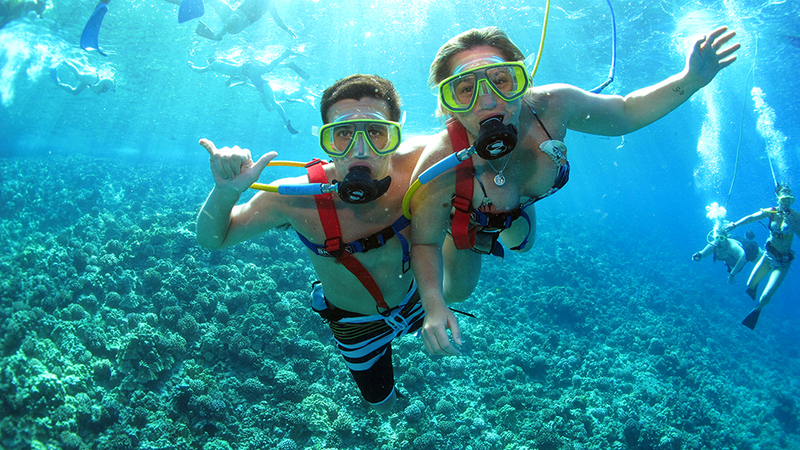 Create vacation memories that will last a lifetime on a snorkel tour with Pride of Maui. 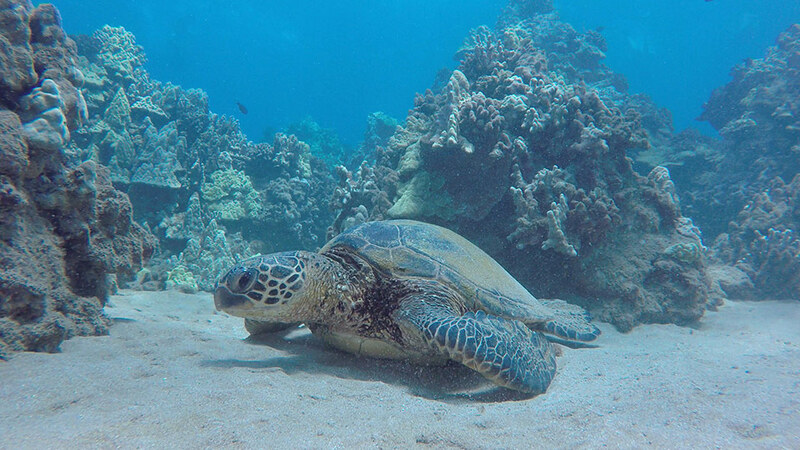 For more information on how you can book a Snorkel Tour with Pride of Maui, please click here. 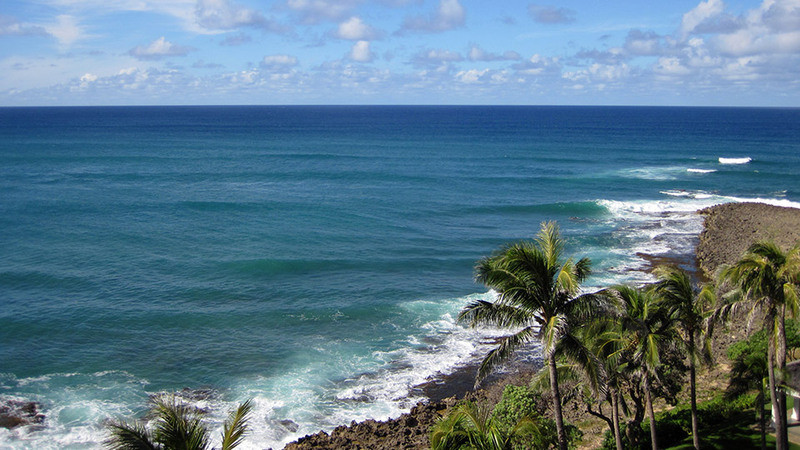 One of the most popular ocean activities in Hawaii is surfing. Residents and visitors alike have always been drawn to the waves surrounding the Hawaiian Islands. Each island offers a variety of surf possibilities depending on your ability, but Maui is the best island to learn how to surf year round. Since Maui’s topography is so diverse, and built upon two volcanoes, surfing at any time of the year is possible with a handful of surf break locations to choose from. 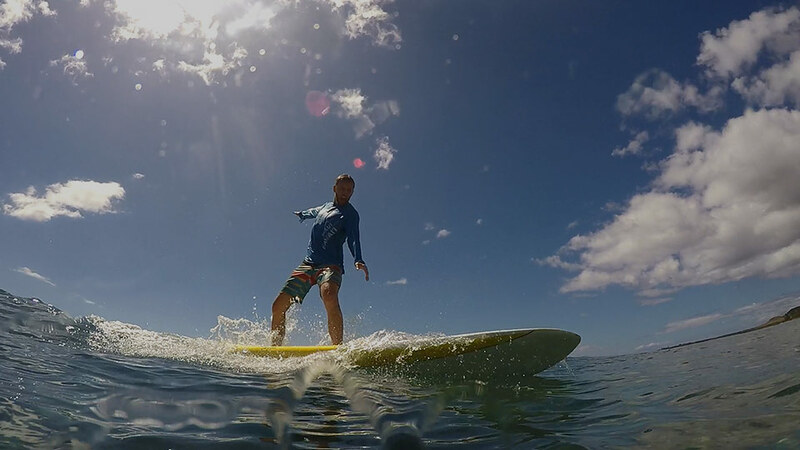 Whether you are at a beginner, intermediate, or advanced level, surf lessons on Maui can provide you with the skills and experience necessary to strengthen your surfing foundation. Read more about beginner’s surf spot guide here. Allow your surf culture fantasies to come to life! Create bonding memories with your family by spending a day in the sun learning together, or motivate your children to gain valuable and safe surf instruction in Maui. Help open a door to health and confidence for your children that they can take with them for the rest of their lives. Don’t just watch people surf for the rest of your life, take the bull by the horns, get in the water, and ride the wave! Stand Up Paddling is rapidly becoming one of the most popular ocean activities in the world. Available to the masses, and easy to learn, spend a day “sweeping the ocean,” relaxing and enjoying gorgeous ocean and shoreline views. Strengthen your core, find your balance, and feel a true sense of achievement learning stand up paddling in Hawaii. Not only is “SUP” is a super fun Maui ocean activity for children and adults, but it is gaining particular popularity as a growing women’s sport too. You can practice learning on flat water, attempt small wave riding, and finally gain the confidence to take this sport home with you. All across the world, water sports enthusiasts are taking stand up paddling to oceans, lakes, rivers, and even reservoirs. Stand up paddle lessons and workshops on Maui are a great day adventure, and will definitely offer you valuable instruction and skill sets that you can take home with you. When seeking out the best ocean activities on Maui, make sure to look into a Hawaiian Outrigger Canoe tour. Canoes have been paddled for thousands of years by Polynesians and by canoe is how the Hawaiian Islands were first discovered. With many options of Canoe tours available, guests can start their day with a morning departure from Makena/Wailea, or various entry points out of West Maui including Olowalu and Honolua. Outrigger Canoe paddling on Maui can be the ultimate adventure for whale watching, snorkeling, or learning about Hawaiian Culture while experiencing it first hand. First time and experienced paddlers can feel safe with guides that are CPR and First Aid Certified trained extensively in ocean safety measures and certified marine naturalists. Experience a cultural paddling adventure with your family and friends aboard a traditional Hawaiian Outrigger Canoe. 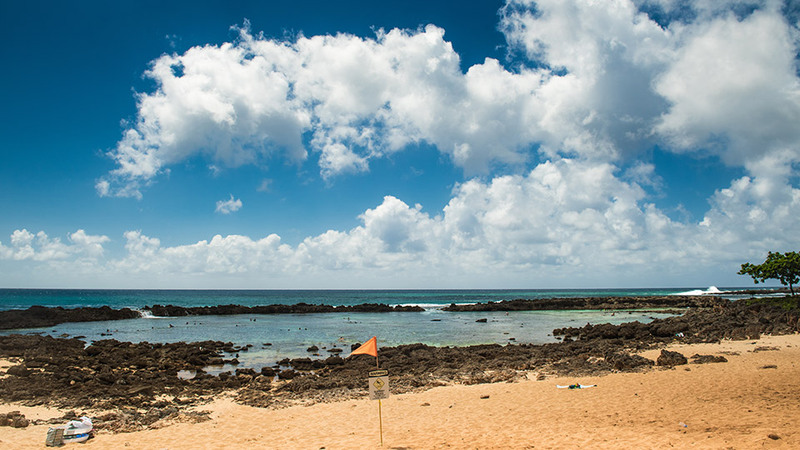 Revel in the innate beauty of Maui, Lanai, and outer island scenes. Watch a magical sunrise cast down upon you, and smile with glittering Hawaiian Island coastlines as your backdrop. 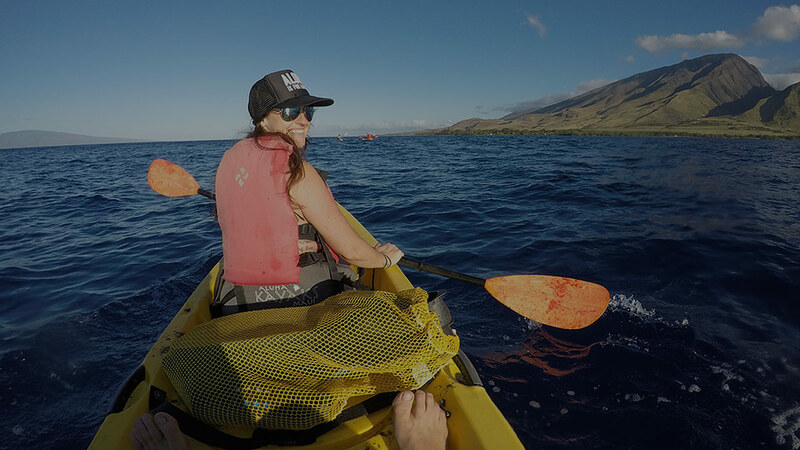 Kayaking on Maui is one of the best ways to see the beauty of the island, learn about the points of interest and explore Maui the best way possible – from the ocean! At Maui Kayak Adventures, a knowledgeable guide will take you on a tour of some of the best snorkeling areas on the island, including West Maui’s Olowalu Turtle Garden, Makena’s Turtle Town, Honolua Marine Preserve, and for the experienced paddlers, Molokini Crater. Guides will provide information about what you’re most likely to see, including a variety of tropical fish, eels, sea turtles, humpback whales (during whale season), and for the lucky few, even Hawaiian Spinner Dolphins and monk seals! Maui Kayak Adventures is on a mission to bring the beauty of Maui and spirit of adventure that the ocean brings to as many people as possible. Their staff of experienced guides will introduce you to Maui’s ancient history, culture and unique marine life. Their kayak tours are the best in the business, and are a great Maui ocean activity that should not be missed! For more information, please visit Maui Kayak Adventures or Hawaiian Paddle Sports for private kayak tours. Explore the majestic ocean of Maui on a rafting tour with Redline Rafting. They offer unique snorkeling and whale watching tours on a 35ft customized raft. Fun and adventure with small groups. Quick departures leaving from Kihei. Kitesurfing is one of the most popular ocean activities internationally. For the past 10 years, Kiteboarding on Maui has become increasingly popular, putting Maui on the map for Kitesurfers all around the world. As a favorite pastime for residents, visitors, and an international crowd, it is common to see kites flying over the Maui coastlines on a daily basis. To be a great kitesurfer, athletes have to stay up on the growing board and kite technology to ensure they are practicing the safest way possible and still learning new skills. When learning how to kitesurf, or trying to book the best kitesurf lessons and instructors available, it can be tricky. You must ask yourself these questions… Who is the best? Who teaches fundamental and advanced skills? And, what equipment is best and safest to practice with? With so many variables to consider, do not fret, the hard work and research are already laid out for you right here. Aqua Sports Maui is the best Kiteboarding School in Maui. Their instructors are professionally trained and experienced water athletes. They have an innate passion and commitment to the best wave riding training possible. They consider the weather, the individual, and the skill level before matching clients with instructors. They offer an exceptional value for the services they offer, always keeping the client’s interests & comfort at top priority. 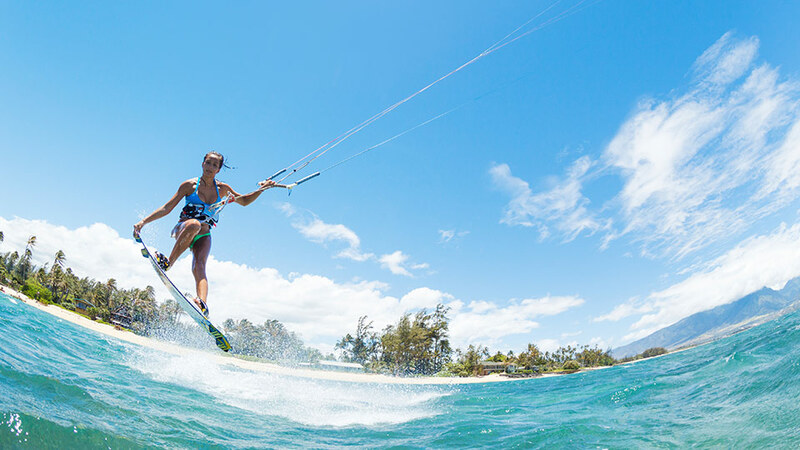 Aqua Sports Maui instructs guests from beginner to semi-pro level, using only the best water sports equipment possible; top quality kiteboarding gear from Naish, Cabrinha and North Brand. For more information on booking kiteboarding lessons on Maui, please visit www.mauikiteboardinglessons.com. In 1948, the windsurfing sport came to life. Since innovation, windsurfing has transitioned into an internationally popularized sport, where Hawaii has taken the reigns as the place to be for windsurfing. Since the early 1980’s, Maui alone has been considered as the worldwide recognized epicenter for Windsurfing. 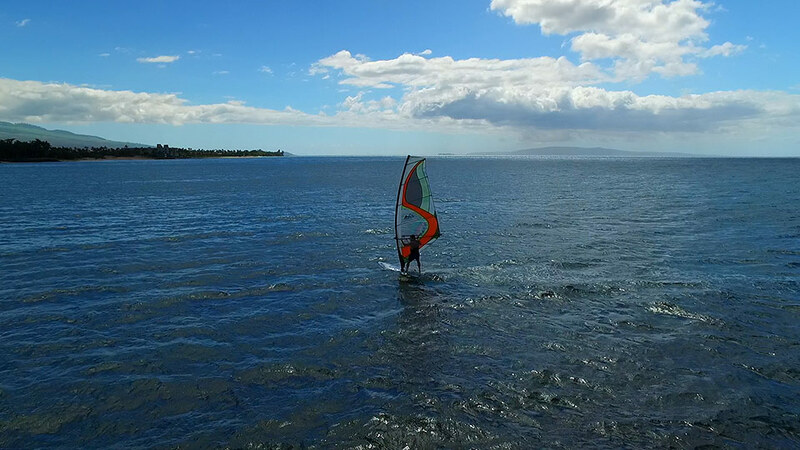 With gorgeous weather, the best wind conditions, and most immaculate north coastline advantages of all the Hawaiian Islands, Maui is the place to be for windsurfing. Whether you are an old-time professional, beginner or at an intermediate level, there will always be new skills and experiences to be had. It is a sport with consistent innovation and technological growth. For the best windsurfing lessons on Maui for children and adults, seek out instruction from Alan Cadiz’s Hawaiian Sailboarding Techniques, more commonly known as HST. HST is Maui’s largest and oldest windsurfing school, with more than a handful of the best windsurfing instructors on Maui. All of HST’s instructors are certified professionals, experts in their field, and embody the patience and consistency necessary to teach safe windsurfing instruction. The team at HST are well known for setting high standards for windsurfing instruction, making their quality unbeatable and unmatched by any other companies on the island. Maui is the ultimate location for scuba diving in Hawaii. The underwater coastlines boast with an abundance of sea life, lava rock reef formations, coral gardens, and ideal scuba diving locations. 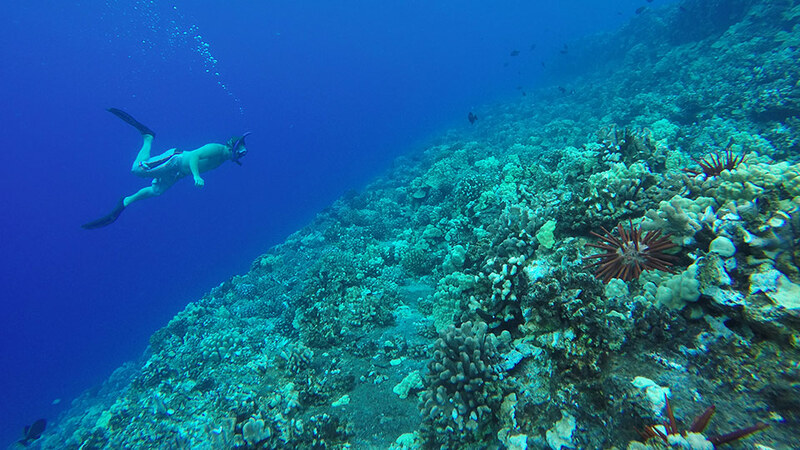 Here you can travel across the reef, and be in awe while examining Maui’s perfectly balanced ecosystem: colorful schools of fish, marine animals, caves and Cauliflower Coral. Have you ever dreamed of becoming a mermaid? Us too. 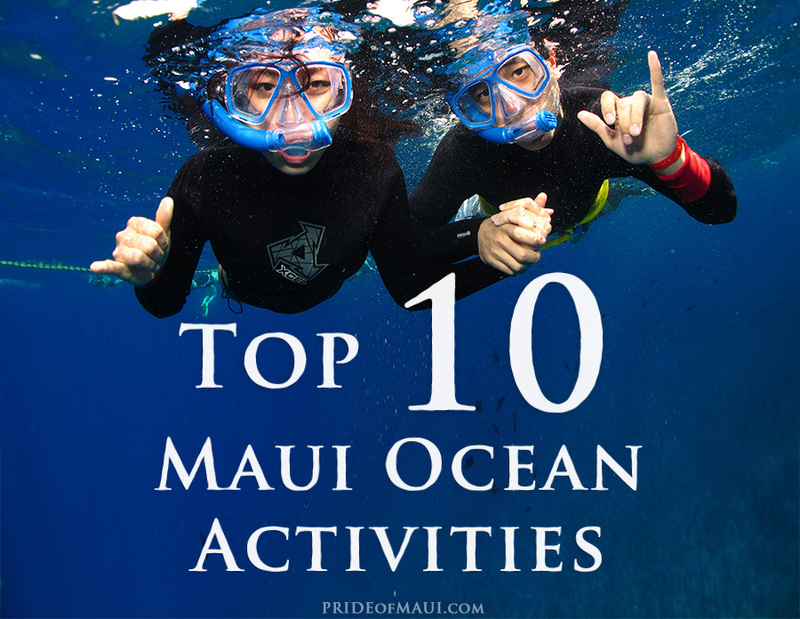 So we’d be hard-pressed to not mention one of the fastest growing activities on Maui lately and one of the most fun ways to explore the ocean. Slip into a mermaid tail and learn how to become a mermaid with the help of expert instructors. It is a truly immersive and incredible experience! Hawaii Mermaid Adventures is really for everyone as it promotes a deeper connection to the ocean while teaching you all about life as a mermaid, various marine animals, and coral as well as mermaid mythology and sailors’ tales. The instructors are lifeguard certified so it’s not only easy to learn through good teaching but it’s also safe. They also offer free digital photos! For more information, please visit Hawaii Mermaid Adventures! Sport Fishing in Hawaii is one of the most sought-after ocean activities by visitors. Fishing tours are a great way to take advantage of this opportunity if you do not have access to a fishing boat or the proper certification and licenses for fishing in Hawaii. All around the island of Maui, the ocean is full of a variety of Billfish and Hawaiian game fish including; Striped Marlin, Blue Marlin, Spearfish, Sailfish, Black Marlin, Mahi-Mahi, Ono, Ahi, and Aku. Throughout the year, the season is open, so fishers can always find a good catch pending the game type, season and month. For a truly adventurous sport fishing adventure, seek out the professionals and book a day trip with Maui Sport Fishing Charters. Their staff and crew are knowledgeable and accommodating, and are one of the few sport fishing companies that will fillet your catch, and allow you to take it home for dinner while you are on Maui. *Just remember, Hawaii has strict fish and game laws, so there is no canning or packaging of fish in Hawaii. For more information on how you can book a sport fishing tour on Maui, please visit www.mauisportfishingcharters.com. 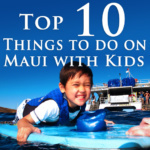 Mahalo for reading the Top 12 Ocean Activities To Do In Maui! What are your favorite ocean activities in Hawaii?